Global Equities analyst Trip Chowdhry has valued the Tesla Gigafactory at $50 billion, based upon his assessment that it will generate $100 billion in revenue for the company over the next 20 years. When it comes to cheerleaders for Elon Musk and Tesla Motors, Global Equities Research analysts Trip Chowdhry is among the most loyal. He is consistently bullish on Tesla and its stock valuation. After the company’s annual shareholders meeting, Chowdhry announced that he has placed a market value on the Tesla Gigafactory of $50 billion dollars — ten times its projected cost. That is more than the total market capitalization of the Tesla Motors, which is $32 billion at present. Chowdhry draws an analogy to Amazon, a company that most thought was just an online bookseller until its true potential as a full featured web service provider became apparent. The analyst bases his valuation on the potential revenue stream he sees being generated by the battery factory. Chowdhry believes that the Gigafactory will be capable of generating as much as $100 billion in revenue for the company over the next 20 years. He calls what Tesla is doing with its Gigafactory “new industry creation activity,” meaning that the potential revenue from the enterprise is far greater than most people realize. At the annual shareholder meeting on May 31, Tesla announced that its battery output potential could triple to nearly 105 gigawatt-hours of battery cells and gigawatt hours of battery packs for energy storage. Combined, that is nearly three times the total production of lithium ion batteries in the entire world. Musk also noted that the battery plant will also be updating the form factor of its existing cylindrical Li-ion cell that carries a 18 mm diameter and 65 mm height better known as an 18650 to a larger diameter and taller 20700 cell (20 mm dia x 70 mm height). The Gigafactory is critical to Musk’s plan to build 500,000 cars a year by 2018. But it is about more than car batteries. 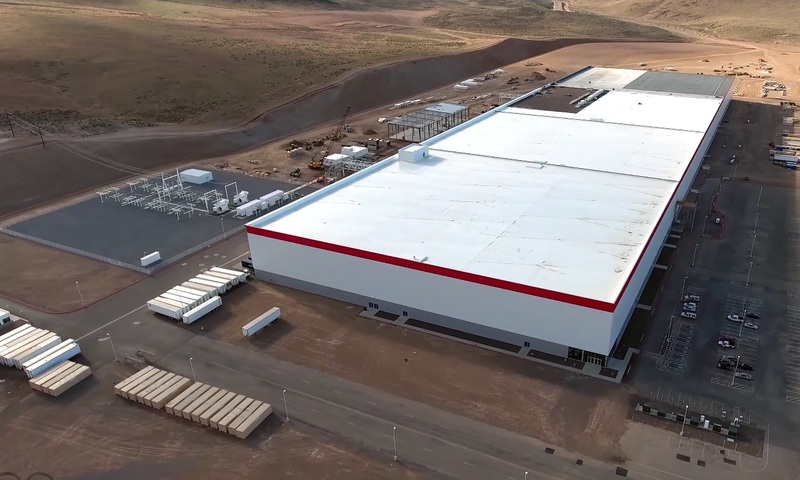 Half of the Gigafactory’s capacity will be devoted to storage batteries. That is up from its original projections that only one third of its production would be devoted to residential and commercial storage products. Chowdhry is right about one thing. Tesla is not a car company that also builds batteries. It is essentially a battery company that also builds cars. He expects income from the battery side of the business to exceed revenue from selling automobiles in the future.